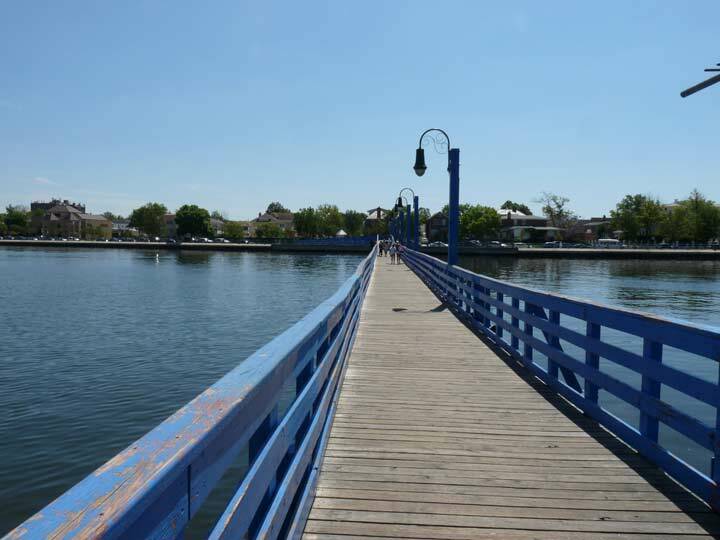 Spanning Sheepshead Bay just west of Ocean Avenue is a weird, wooden bridge with a low fence that looks as if you could easily jump over it into the bay, or even get knocked over if sufficiently jostled. The bridge has a very old pedigree: it was first opened by long Island Rail Road king Austin Corbin in 1880, and after a few false starts (Corbin kept closing the bridge since he thought “undesirables” would frequent his development, then-exclusive Manhattan Beach) it has been continuously open since then. It’s called the Ocean Avenue Bridge, even though it’s a block west of Ocean Avenue. You can still get a ticket for riding a bicycle across the bridge; one time, as I was crossing, I discovered one of the wooden rail sections missing, making a dip in the bay a real possibility for the unwary. The bridge was lit by mini-versions of the old Belt Parkway “woodie” poles; faux bishop crook fixtures were installed in the late 1990s. This is the only intact “woodie” remaining on the bridge and one of two “woodie” posts still standing on public roads in NYC. The other one is on a service road connecting the Laurelton and Belt Parkways in Rosedale, Queens. Several still stand on parkways and bridges on Long Island. Since this photo was snapped in 2015, a new Light-Emitting Diode lamp, which glows bright white, has replaced the old sodium vapor fixture. I remember it well. I would fish off the bridge for snappers in the early 60s. Lived on Ocean Ave at that time. 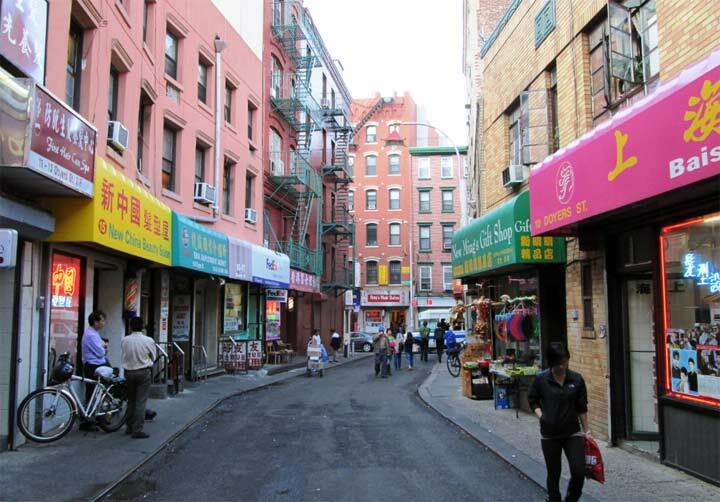 It was a great place back then, Lundy’s, Pappas’s. Many many fishing boats. It was beautiful times. 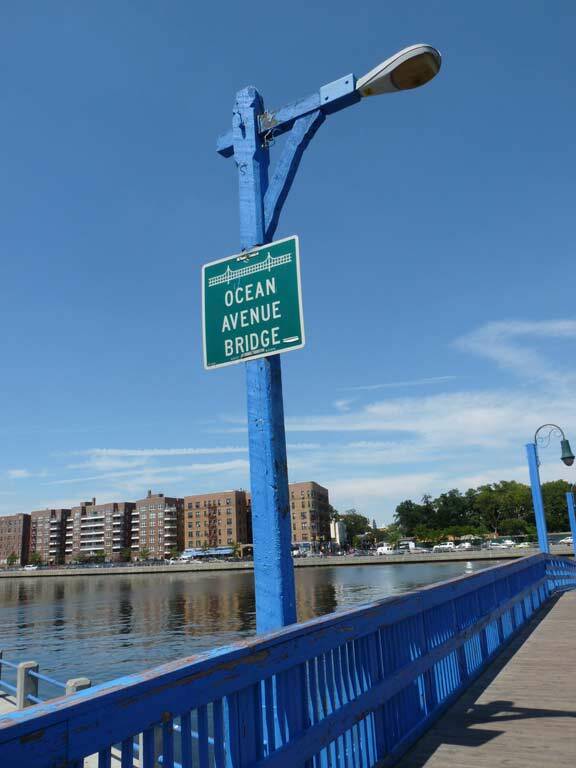 I used to fish off that bridge as a kid in the 60’s with my uncle, then we would walk along Sheepshead Bay and look at the returning fishing boats. Then we’d get ice cream and head home. Later i crossed that bridge to get to Kingsboro community college and then many years later i crossed it to visit my relatives in the nursing home in Manhattan beach. After Hurricane Sandy the bridge took some damage but survived. My friends and I used to go diving off the Telephone poles for quarters from people that passed by. We would go out in the hot summer mornings with only our denim shorts no shirt or shoes and stay there swimming all day. We also tied ropes to the back of boats, and with a piece of wood , go water skiing. All the roads were still dirt from Ave. Z to the bay. This was in the late 1960s. We were strong swimmers that could swim all the way to breezy point at 12 yrs old. Those were simpler more natural times that I carry with me.